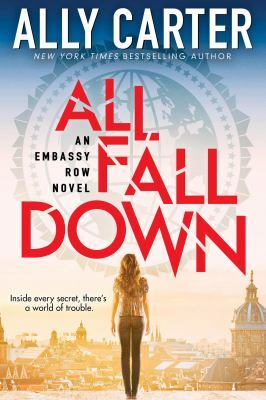 Posted on August 14, 2015 by Anmol K.
The mystery novel, All Fall Down by Ally Carter, tells the story of sixteen-year-old Grace Blakely. Unfortunately, Grace’s mother died three years ago in an disastrous accident when her antique shop caught on fire. Grace was with her mother that night and she believes that a man with a scar shot her mother. Nobody wants to believe Grace, which makes Grace even more determined to find him. Grace doesn’t see much of her older brother or father because they both are in the military and move around a lot. Before her mother’s death, Grace would spend her summers with her grandfather. Her grandfather is the American ambassador and he lives in Adria with other ambassadors from all over the world in Embassy Row. Back at Embassy Row, Grace is haunted by the recurring nightmare of her Mother being murdered. Her grandfather and her brother’s friend, Alexei, try to convince her, but she refuses to believe them. Haunted and determined, she befriends Noah, Megan and Rosie, who are all children of ambassadors, in hopes to track down the man with the scar. Join Grace to see what actually happened that night. Although Grace was emotionally troubled, she was a great character. Liking her determination and refusal to believe other people that her mother died in a fire, I also I found the concept of the different embassies very intriguing. The idea of having characters from all over the world made it very interesting. Personally, I would recommend it to anybody who is a fan of a good mystery novel. With a cliff-hanger ending, I am sure to read the sequel coming next year! 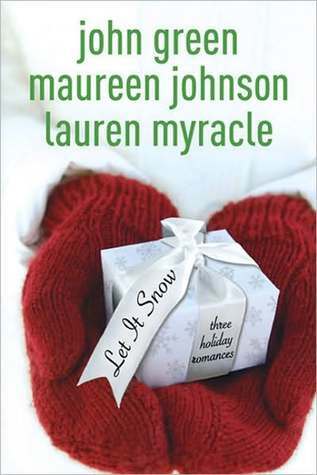 All Fall Down is available for check out from the Mission Viejo Public Library and Overdrive. Posted on September 4, 2013 by Danielle K.
After living in the wizarding world for the duration of the saga, who didn’t deny their muggle roots, and delude themselves into believing they possessed the ability to spell-cast? What if you could live in Harry’s world, where you would receive your attendance letter when you turn eleven and get shipped off on the Hogwarts Express for your first year (unless you’re a Squib, of course ) in September? My friends and I still reassure ourselves that our letters obviously got lost via owl post, and Dumbledore will make an exception when he discovers his tragic mistake… and we’re going on fourteen. Don’t want to be a wizard? How about the child of a Greek god? Your friends would be your family (literally, for all the gods have some relation to one another; therefore, their children do as well). You’d have the opportunity to venture into the mortal world and perform dangerous tasks for the gods (which you would hopefully succeed). Plus, who wouldn’t want to be a demigod? I definitely would. The girls who attend this school have reputations of rich, genius heiresses, but they’re really clandestine agents-in-training for the CIA, under cover. I would absolutely love to be trained in the art of espionage, and going to a school that specializes in just that? Now that would be awesome. Every girl (okay, most girls…) wanted to be a princess at one point in time, whether you idolized Snow White, or someone a bit more like Mulan. At the Princess Academy, competition and challenges prevail in order to discover the best fit for the throne; whether its testing your poise and composure in times of danger or your tolerance when it comes to the immature practical jokes of your classmates, the Princess Academy separates the arrogant from the strong, and the smart from the intelligent. The Alpha Academy is a school for the next generation of powerful, influential woman (sorry, boys! ), “without any distractions from the mediocre world.” The girls are forced to compete — after all, there can only be one Alpha — for worldwide fame, fortune, and guaranteed success in life. The series was… okay… (not exactly my cup of tea) but being the fairly competitive person I am, I absolutely fell in love with the idea of a school where it is a part of your everyday life; a place where females are dominant, manipulation of your peers is seen as resourceful on your fight to the top, and smarts are valued, and never overlooked. What Hogwarts house would you be in: Hufflepuff, Ravenclaw, Gryffindor, or Slytherin??? Who would be your godly parent?? 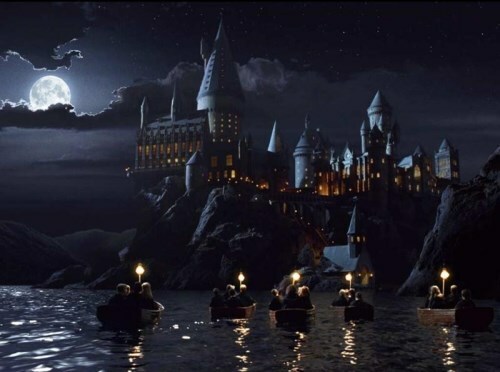 What fictional school would you like to attend? Posted on July 18, 2013 by Danielle K.
This addicting, action-packed series follows Cameron “Cammie” Ann Morgan, a sophomore at the Gallagher Academy for Exceptional Young Women. The Gallagher Academy’s reputation is primly negative, and the neighboring inhabitants of Roseville, Virginia view it as a school for “rich, snotty heiresses.” However, the students are actually spies-in-training, the next generation of agents who hope to be employed by the CIA post high school graduation. While on a mission for her Covert Operations class, Cammie meets Josh Abrams, a normal, typical boy, who sees her, despite her rank of being a great ‘pavement artist’ and her distinctive aim to stay in the shadows. Cammie is known as the “Chameleon,” because she is average- not too tall, not too short, not too chubby, not too thin, not too anything- so she is able to blend in among a crowd of people, and specializes in tailing her subjects while under cover. With the help of her best friends, Liz Sutton and Bex Baxter, and her roommate, Macey McHenry, along with some brilliant heists and ingenious exaggerations of the truth, Cammie is able to develop a steady relationship with Josh, and sneaks out– using the school’s newfound secret passageways that only she knows about (being the headmistress’s daughter and all)– to see him on a regular basis throughout the school year. She revels in his normalcy and takes comfort in his regular teen dilemmas; I believe this is a big part of why she likes him: when she is with him, she is able to become someone she’s not, and abandon the careful, restless side of her that has been trained to constantly watch her back. However, things soon get complicated, as Cammie is forced to lie endlessly (and flawlessly) to keep her cover as a rich schoolgirl, and she soon learns that normal isn’t all it’s cracked up to be. After the whole Josh-inspired mishap, Cammie returns to Gallagher Academy for her junior year of high school, only to find that the East Wing is strictly off-limits. During CoveOps the next day, the class is blindfolded and transported to the National Mall, where they are told to blend in and instructed to meet at the ruby slippers exhibit by a given time, practicing counter-surveillance. Only one girl in the class succeeds in doing this; Cammie fails when she is followed by Zach, whom she believed to be an innocently ignorant teenage boy, follows her from the elevator. Later, Cammie’s mom, Headmistress Morgan, announces that fifteen boys- Zach being one of them- from Blackthorne Institute for Troubled Young Men (Cammie concludes this is a cover, and they are also spies in disguise) will be staying at the Gallagher Academy for an unknown duration of time, in a sort of “one-way exchange program.” Cammie and her roommates view the boys as suspicious targets and decide to investigate, but the carefully-placed listening devices in their bedrooms, and the trackers in their shoes don’t prove useful. Zach always seems to constantly hang around Cammie, who doesn’t know whether to consider him infuriating or endearing, and ends up settling with annoying. When he asks her on a study date, she almost says no, but then uses it as an excuse to get information from him about his school, and his past. When the Gallagher Academy’s cover almost gets blown, and is in danger of being released, the girls- and the boys!- must work to make sure that their identities stay secret, no matter what the cost. Posted on May 13, 2013 by Danielle K.
Whenever a review refers to a book series as “the next Harry Potter,” I start reading with impossibly high expectations. While these books aren’t as enchanting or inspirational as Rowling’s phenomenon, they are unforgettable just the same. 1. 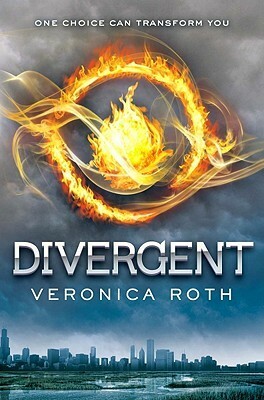 The Divergent trilogy, by Veronica Roth… because readers can relate to the main character’s conflicts, such as deciding between what your family wants and what’s best for you, and discovering the difference between bravery and stupidity. 2. The Twilight saga, by Stephenie Meyer… because of the memorable characters and unexpected plot twists. 3. The Delirium trilogy, by Lauren Oliver… because of its universal themes and unique characters, making for an unforgettable dystopian read. 4. The Gallagher Girls series, by Ally Carter… because the author was able to amalgamate teenage girls into a world of spies, romance, danger, and sacrifice. 5. The Alex Rider saga, by Anthony Horowitz… because of its complex setting and captivating characters. 6. The Maze Runner trilogy, by James Dashner… because the author exhibits adventure and suspense in this narrative about values, curiosity, and life’s true meaning. 7. The Hush, Hush saga, by Becca Fitzpatrick… because of how readers are able to relate to the characters and their personal incentives. 8. 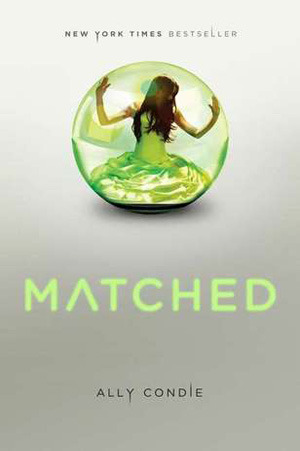 The Matched trilogy, by Allie Condie… because of how it is similar to The Giver. 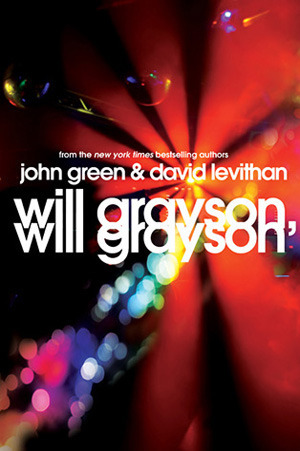 It takes place in a futuristic dystopian society, while telling a story of love, courage, and individuality. 9. The Percy Jackson series & the Heroes of Olympus series, by Rick Riordan… because the author takes Greek mythology and adds modern, unforgettable characters. 10. The Hunger Games trilogy, by Suzanne Collins… because it teaches readers about life, loss, love, and bravery through the eyes of the strong, female heroine, Katniss Everdeen.